Total Running Time: 1 minute 22 seconds. This clip is from a 2008 LessonLab Research Institute project. It was shot on miniDV (SD) and intended to be used for online modules for K-8 preservice teachers to use in science methods courses (web delivery). 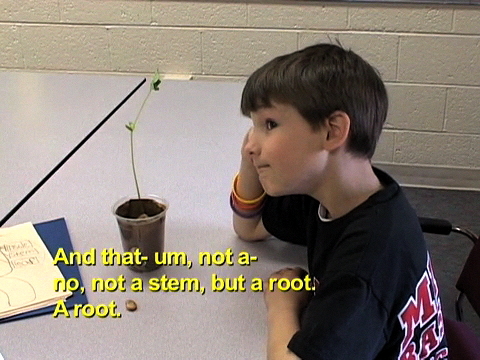 The product included both classroom footage and corresponding interviews with students and teachers. The video in its entirety is unedited, but watched in Real Time.